It is, of course, quite common to negotiate an important contract via telephone and email. The last detail is finally nailed down. The parties exchange congratulatory messages and one party, perhaps the seller, says he or she will send a formal contract for execution by the purchaser. The contract arrives and the purchaser realizes that several matters that were negotiated aren’t actually included. “No worries,” the purchaser thinks, “Why rock the boat now? After all, the issue was covered in the email exchange.” The purchaser signs and the parties move forward, but later, there is a dispute about one of the “terms” that did not make its way into the contract. If the parties end up in court, can the purchaser introduce the email exchange as evidence to show the intentions of the parties? Many business owners are surprised to hear that often the answer is no. This is the parties’ entire agreement on this matter, superseding all previous negotiations or agreements. With such a clause in place within a contract, a Wisconsin court will generally indicate it will receive no prior or contemporaneous information (e.g., email messages or notes from a phone conversation) that either vary or contradict the language of the actual written agreement. 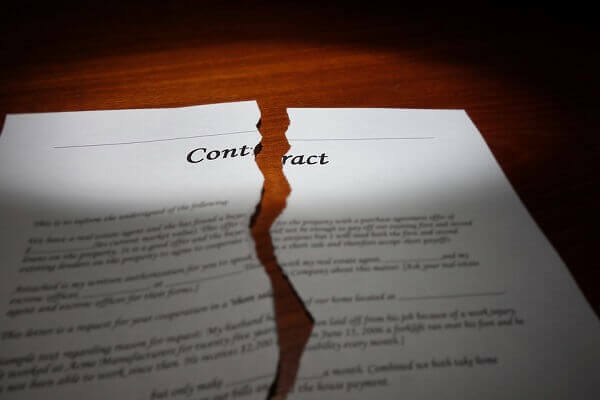 There are a few instances in which a party may be able to present some evidence as to negotiations and other “pre-contract” matters that contradict the provisions of the written agreement containing a merger clause, but they are few and far between. Generally, one must show some sort of fraudulent inducement. Without such a showing, in virtually all cases, the contract stands as written. Generally speaking, a subsequent agreement between the parties is unaffected by the presence of a merger clause in the earlier dated contract. Contracts generally form the building blocks of commercial relationships. While some business owners pride themselves on successfully engaging in “handshake deals” and other informal arrangements, in most cases – particularly where significant sums of money are involved – the parties are best served by memorializing their agreement in a formal, written fashion. The Milwaukee business litigation firm of Kerkman Wagner & Dunn has more than 50 years of combined legal experience helping businesses negotiate and memorialize agreements. Our business litigation lawyers have extensive experience representing manufacturers, sales organizations, retailers, service providers, landlords, property owners, tenants, and other business concerns in Wisconsin. Our firm has big firm talent and provides small firm attention. Call us at 414-278-7000 or complete our online contact form.